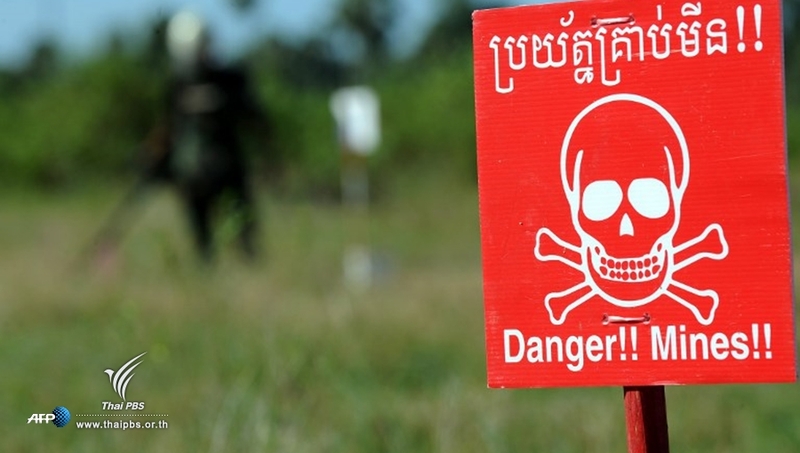 The United States has suspended its $2 million funding next year for demining operations in eastern Cambodia as relations between the two countries has deteriorated following Phnom Penh’s repeated criticism of the US in the past several months, according to Phnom Penh Post. Heng Ratana, general director of Cambodia Mine Action Centre, said he received a letter from the Norwegian People’s Aid, Cambodia’s partner in the demining efforts, informing the US decision to stop funding the project in the eastern part of Cambodia, Phnom Penh Post reported on Tuesday (Nov 8). The funding cut follows months of acrimony between the two countries, with Prime Minister Hun Sen repeatedly pointing the fingers at the US for its purported role in an alleged conspiracy to topple his administration. Ratana said he met with State Department officials in July and had subsequently held consultations on the CMAC’s funding for 2018. At no point, he said, was there any indication of aid cut. “This is very disappointing,” said Ratana, adding that the US has a moral obligation and goodwill obligation because they have dropped a lot of bombs on Cambodian soil during the war. CMAC’s funding amounts to a third of the $6 million the US contributes annually to the demining sector in the country, with other recipients including The Halo Trust and Mines Advisory Group. The US Embassy said Monday (Nov 6) that it did not have any comments on the issue. Norwegian People’s Aid country director Aksel Steen said the organisation was notified of the funding cut last week with no reason given.